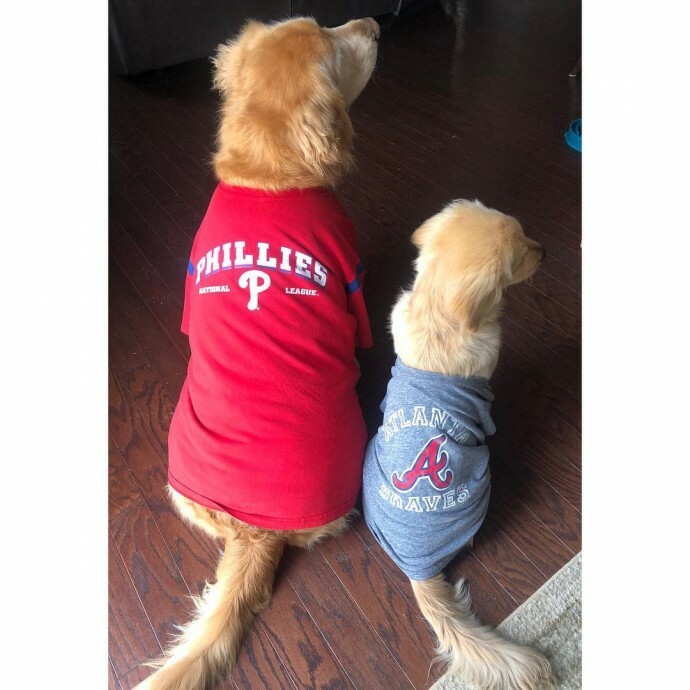 Chelsea Stipe and her husband have a senior Golden Retriever named Charlie. 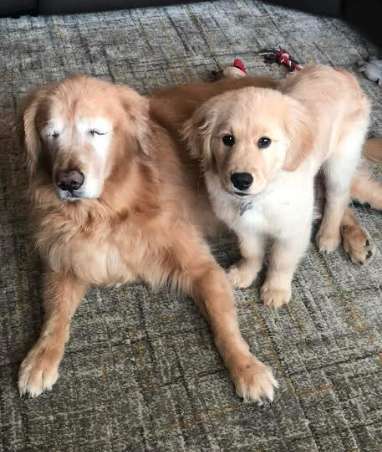 He’s 11 years old and due to glaucoma, both of his eyes were recently removed. 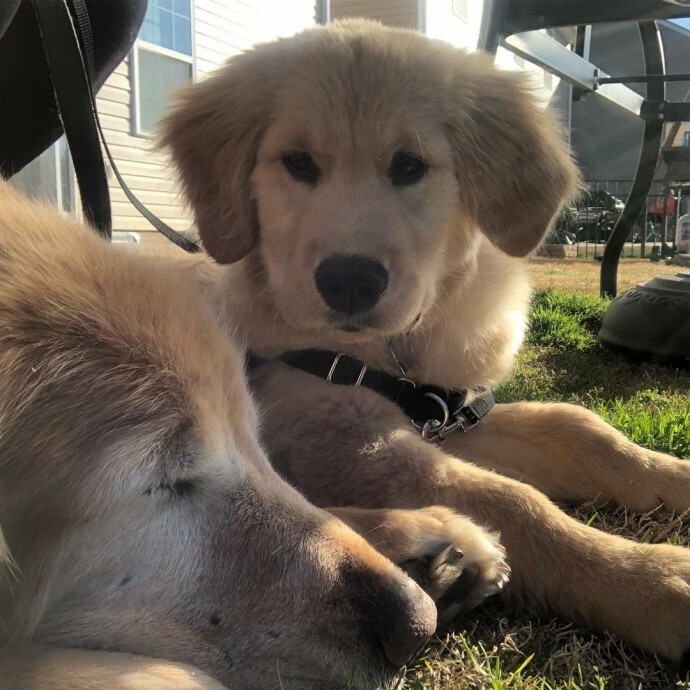 It definitely affected how Charlie went through his daily life, as he gets tired and uninterested easily. 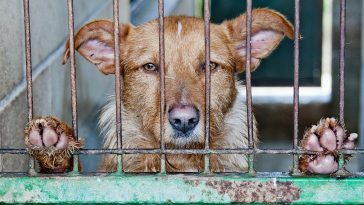 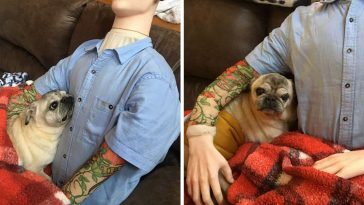 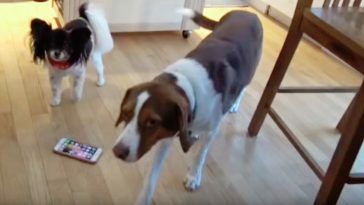 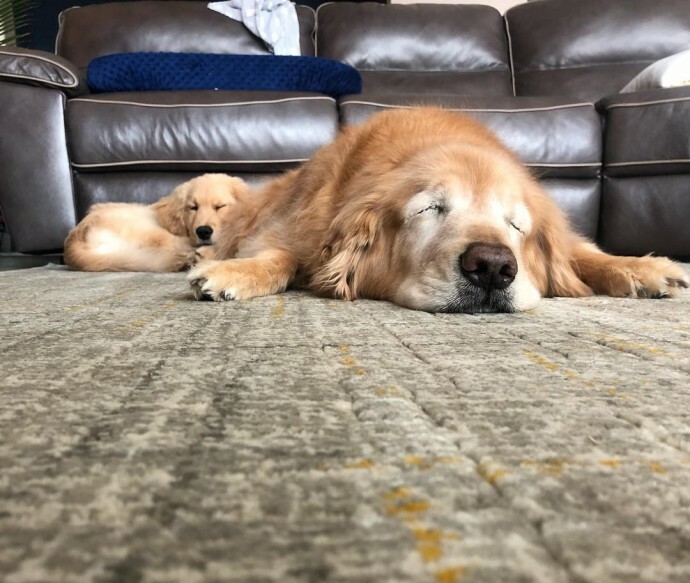 In the hopes of making Charlie happy and lively again, Stipe had the idea of adding a new dog to their family. 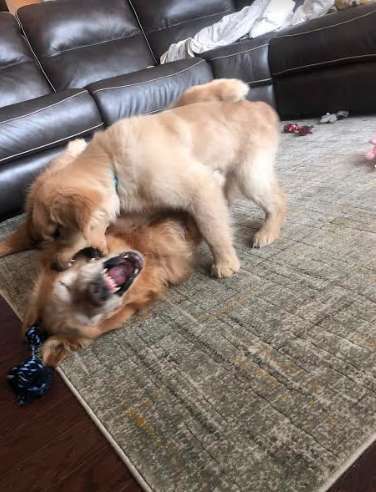 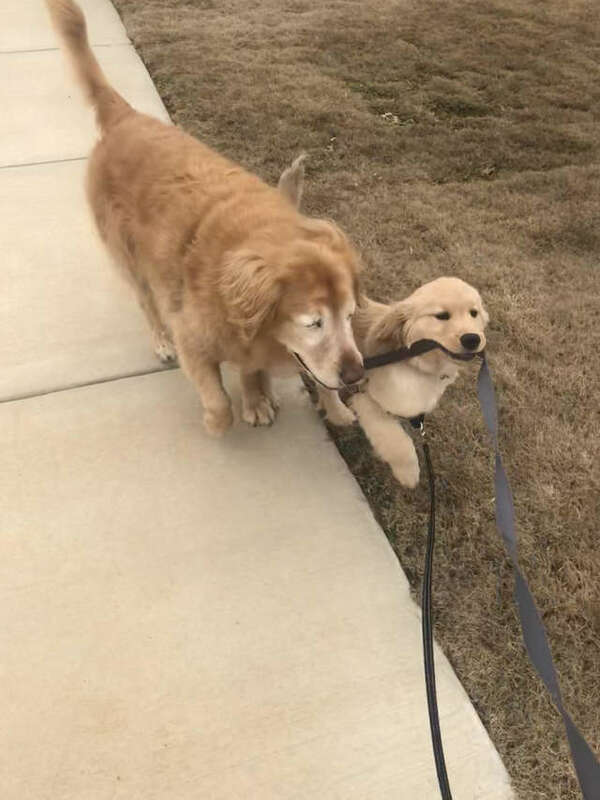 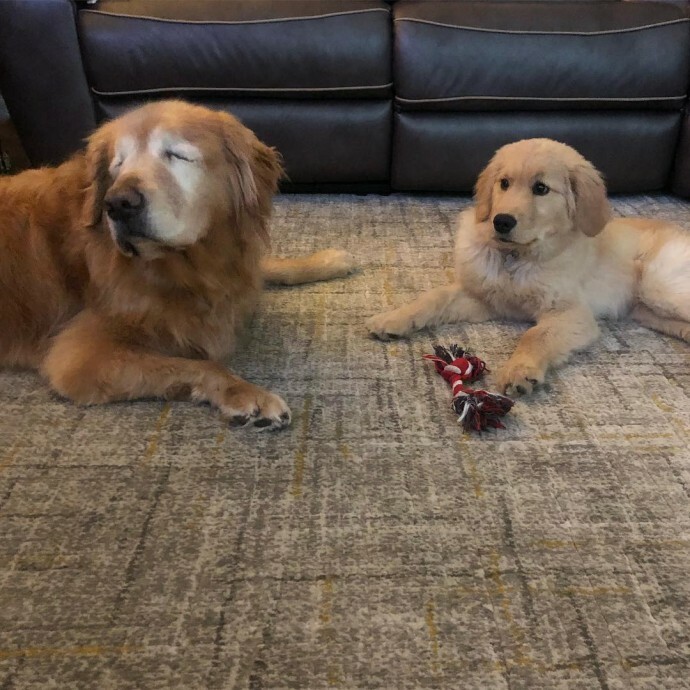 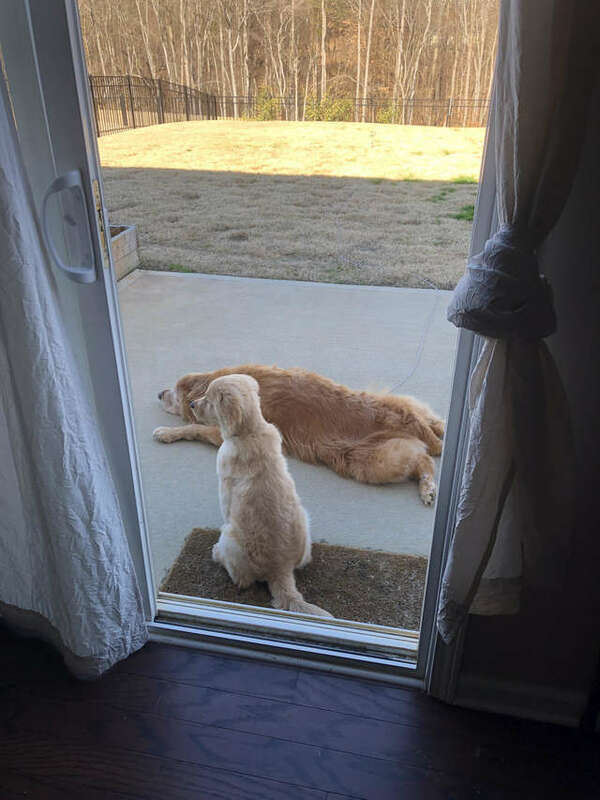 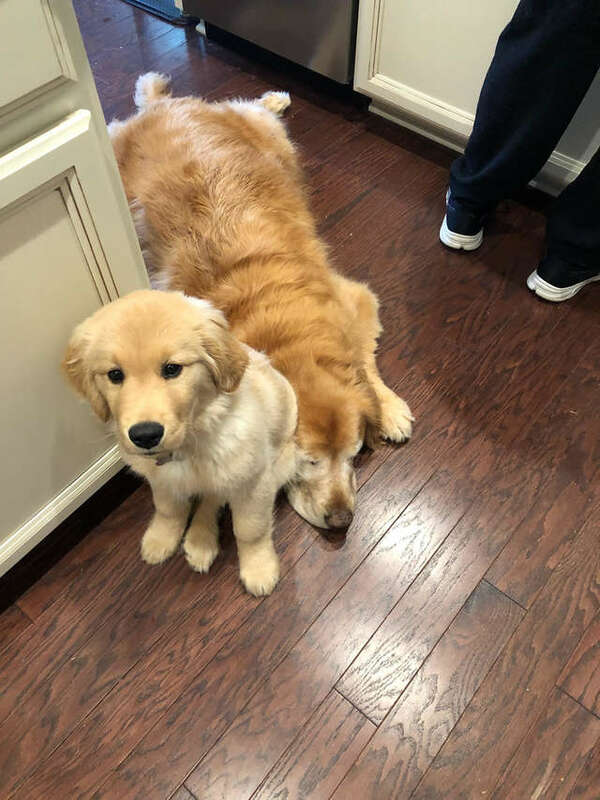 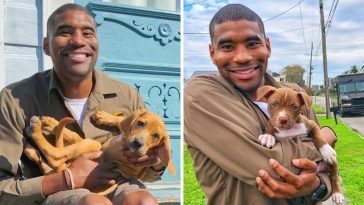 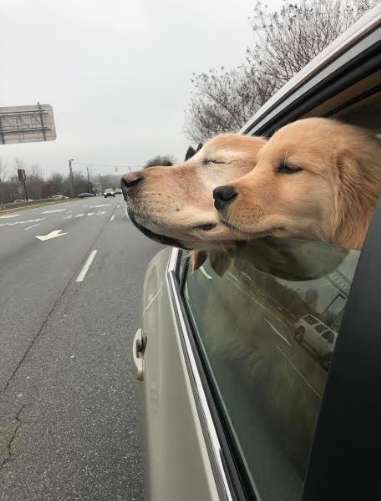 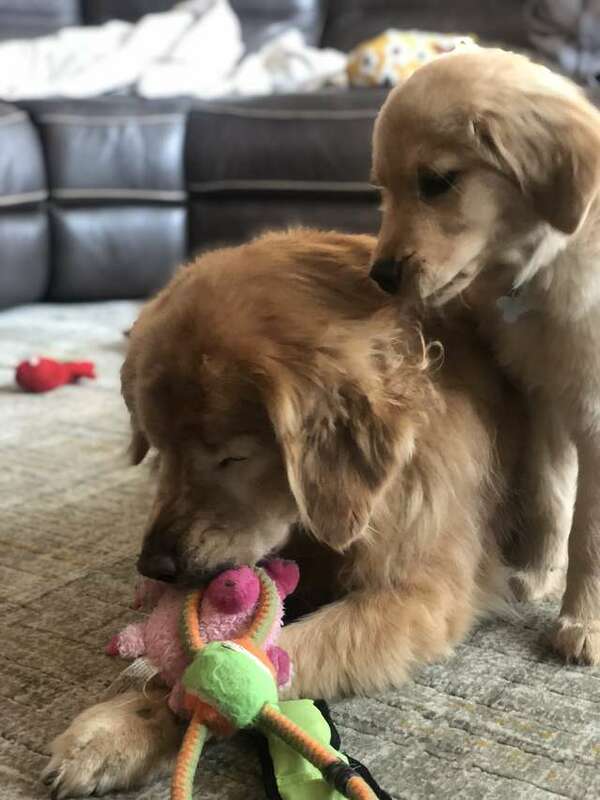 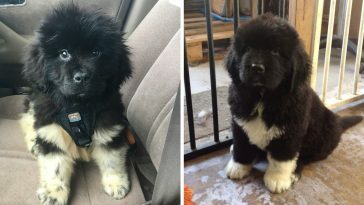 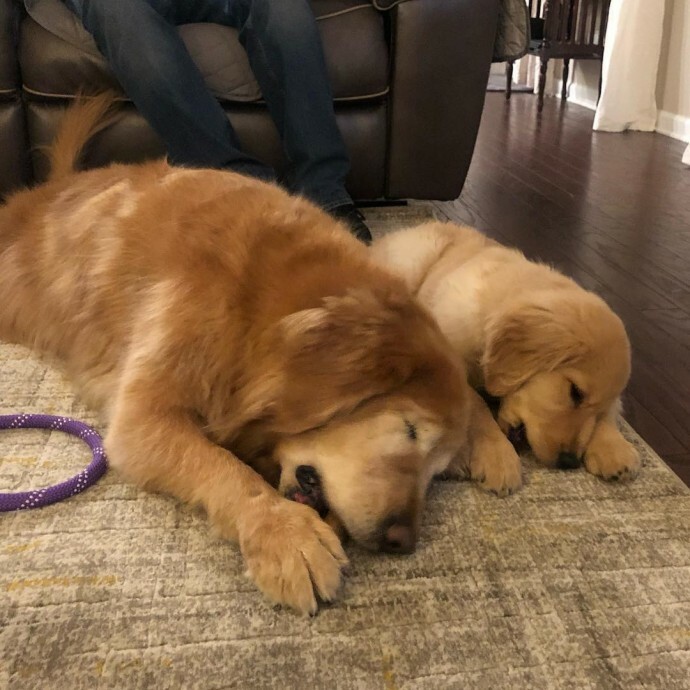 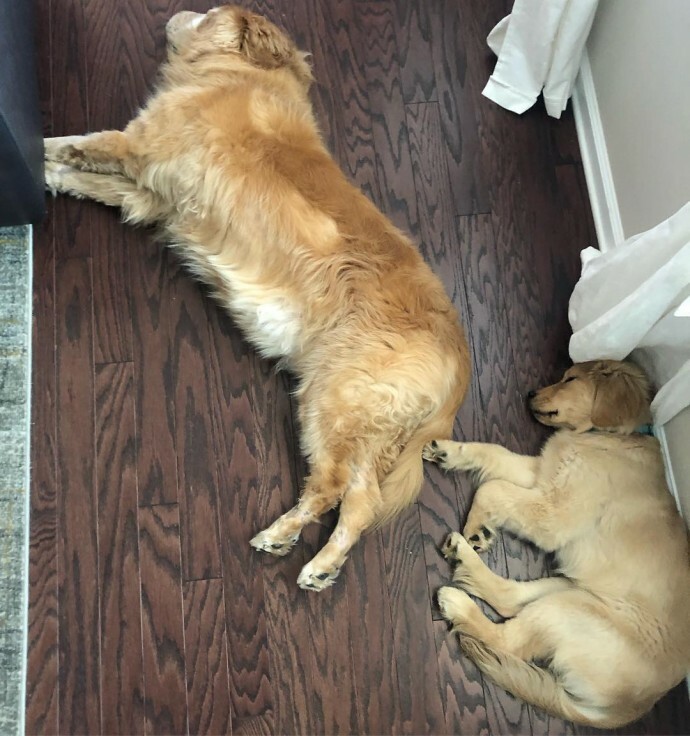 They got a new Golden Retriever puppy named Maverick, and he instantly got along well with his new, elderly friend Charlie. 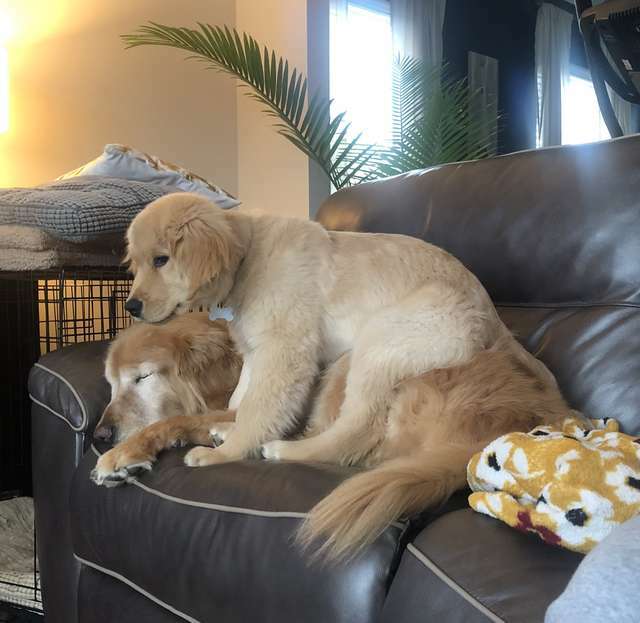 The two dogs became best friends and began to spend all day playing and cuddling together. 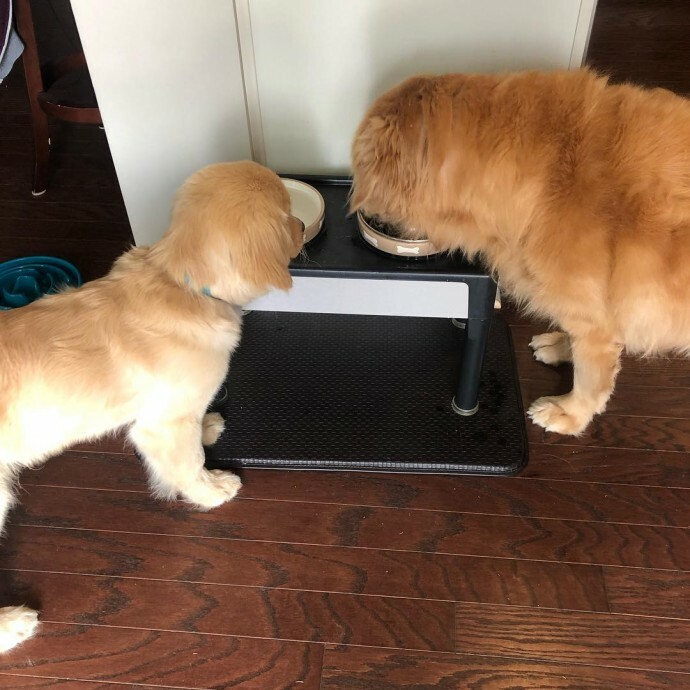 Maverick is a smart puppy, and was able to sense that Charlie needed help and guidance when exploring places and doing some activities. 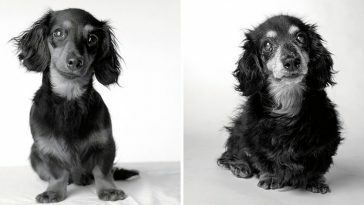 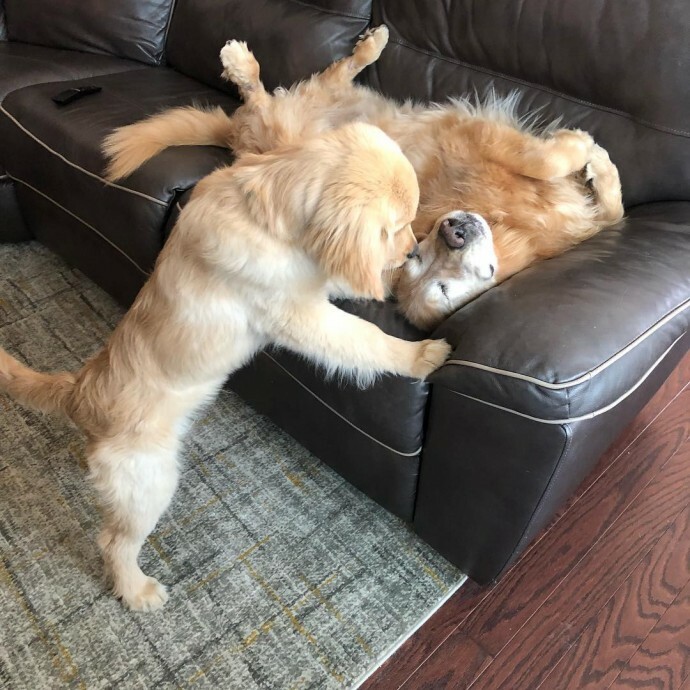 His energy lifted up the senior dog’s spirit, and even though Charlie is way past his younger and healthier years, the presence of the young pup definitely gave him a new perspective on life, taking him back to his playful, energetic, and lively self again. 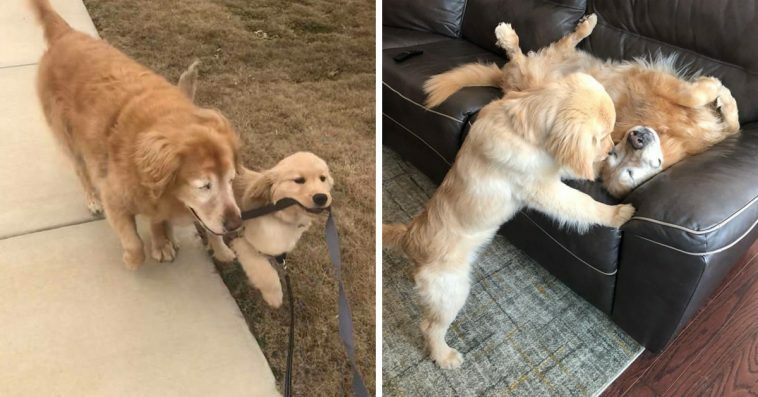 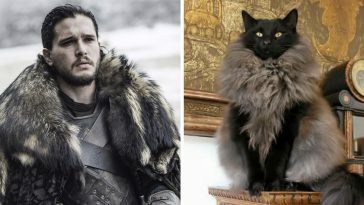 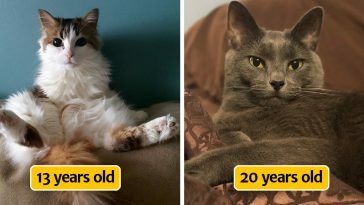 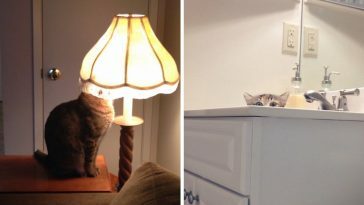 Just Something selected some of their best photos together, but remember to take a look at their Instagram page to keep up with their daily adventures.